It was the Novak family reunion in the latest Supernatural episode. Not only did Claire return, but we finally found out where Amelia was all this time. And we got to see a seemingly-happy Dean enjoying himself. Savor it, because it’s probably the last time for a while. Claire’s been trying to track down her mom since the last time we saw her. And she’s becoming a skilled hunter, if only for the fact she can piece together clues from her mom’s diary and get pretty close to her location. 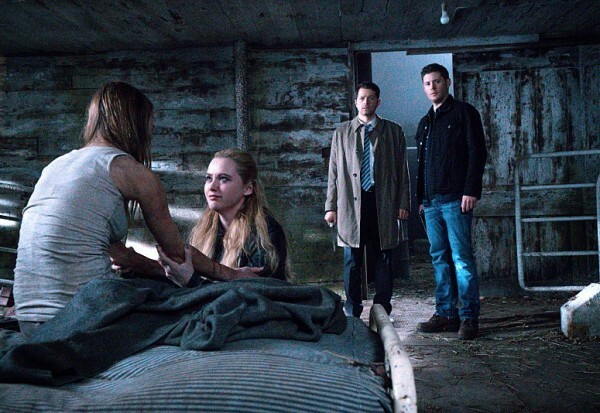 We’d have been none the wiser about what she was up to if not for the fact she ended up in the hospital and Cas showed up, with the Winchesters in tow, to help her out. This time, though, it felt less like Cas was trying to be a controlling figure in her life and more that he and the Winchesters were supporting her mission to find Amelia. Thanks to Sammy, Claire can now hack into credit card accounts and also get some fake cards to carry her through financially. If she’s going to be living on the road, it’s important to be able to support herself. She’s going to need all the help she can get, based on how the episode turned out. Amelia wasn’t off on her own, having a grand old time, but instead she was kidnapped and tortured for two years. Plus, she had to keep reliving her visions of Heaven while being tortured and drained of her soul. And once Claire and the gang came to her rescue, that’s when she succumbed to death at the hands of her angel captor. So much sadness. Meanwhile, Dean is possibly falling prey to the Mark even more, even though I didn’t see evidence of it. 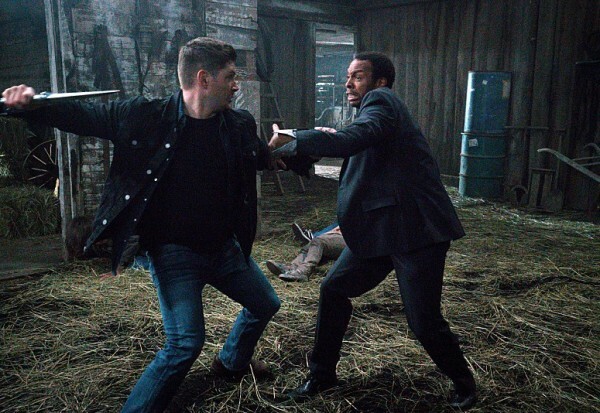 Cas claims he got a little rough with Ronnie at the bar, and Dean did seem a bit possessed when he had the sword during the fight with Tamiel, but to me it felt like typical Dean. He roughs up the bad guys and gets information. He certainly wasn’t as heavy-handed as the Mark has made him in the recent past. Plus, there is plenty of darkness to come, so the lighter fare of this episode was a good break from the tension. It felt almost like old Dean, with his jokes and laughs and downtime. Sad to know that there will be no more carefree jaunts to the putt-putt courses any time soon. There was not a lot of Dean and Sam interaction in this episode, for the most part. Sam was off doing his thing, first researching and then getting beaten up on the hunt, while Dean was off roughing up Ronnie and then babysitting Claire before joining the battle at the end. I do share Cas and Sam’s concern about how the Mark might be affecting Dean, but I’m more concerned with how Dean will react when he finds out Sam’s been lying to him. Big things are coming their way, and I fear the outcome. For a filler episode, this latest entry into canon wasn’t bad, but I do look forward to getting into the arc-heavy season-enders. I know I’ll be heart-broken, but that’s what I’m here for. The lighter jaunt was fun while it lasted. Onward to the heavy emotional weight that the Winchesters know so well.